Everybody knows that India is a rural dominant country, where there are many endless numbers of Villages, Suburbs and small towns, this is a fact and we Indians are even proud of it. But these underdeveloped areas are only ones which are polluted, dusty and unbearable. Well, this is a MYTH. Even the most developed metro cities or Tier 2 & Tier 1 cities are equally, rather than have more hazardous Air content than the rural ones. Reason can be many, such as the Industries we have in the cities causes the main chunk of Air pollution, and as these Industries generates employment, which attracts people from other parts of country for jobs that increase the load on cities, and if there is more population then there will be more vehicles on road which undoubtedly puts more cream to the cake. But what are the measures through which these can be eradicated? Sadly, but not many ways to stop pollution as this is a pure vicious circle which can’t be wiped off. But there have to be some ways to live a healthy life in such situations. As one cannot simply stay inside the house just because the outside air is not fit to breathe, not fit for the children. Luckily, there are some ways out, and the most prominent and easy way which is totally in our hand is to use some kind of Air filters. These can be of any type, whether the air filter machines for rooms which are there or any type of Pollution mask which is available in markets. There are many innovations are also going on in the types of masks available in the market. There are revolutionary Nasal filters which have entered into markets. As per a study, the most of the allergies are caused by nose specially Rhinitis, which is also called as Common cold. Also, it’s not easy to filter out the PM 10 (Particulate matter level – which is a standard to measure the level of pollution) particles, but the microfiber filters present in the nasal filters or nose filter mask takes charge of this task and supplies fresh air to your nostrils. Other than this, the USP of this product is its feather-light weight, with absolutely comfortable usage in your nose. This can be easy to wear the thing for our children also who go to school or college, as other masks cannot be the fashion statement rather look odd, whereas this product is quite invisible for others. 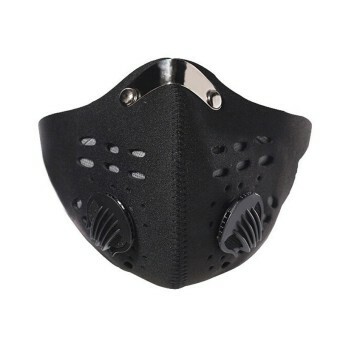 There is also a hidden problem for those who wear glasses, as they cannot wear air mask for long as it causes dense fog on their glasses due to the full coverage of warm air we are exhaling through mouth, but this filter solves this problem as well, as it is just for your nose and doesn’t cover your mouth but works even more effectively and efficiently than others. So, we cannot escape from the hustling life of modern cities, nor we can run from the byproducts of this hustling, all we can do is the precautions. That’s it. !